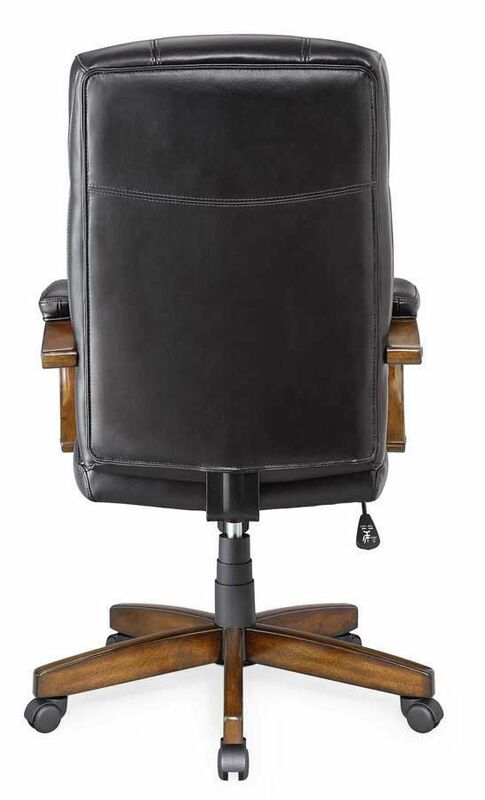 Complete your dream office design with the sophisticated look of the Black Leather Chair. 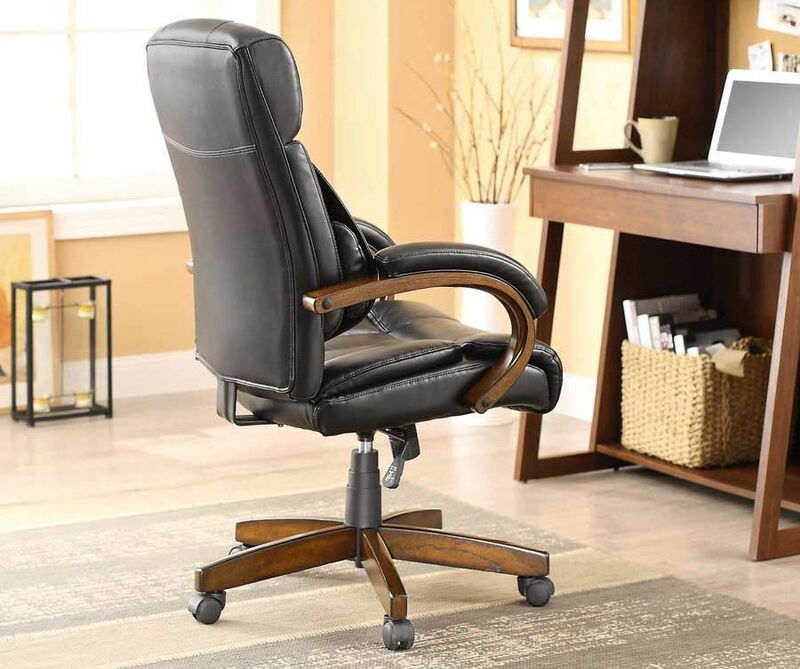 Crafted with a soft blended fabric for a luxurious look and feel, this chic chair will provide generously cushioned seating during those long hours in the home office. 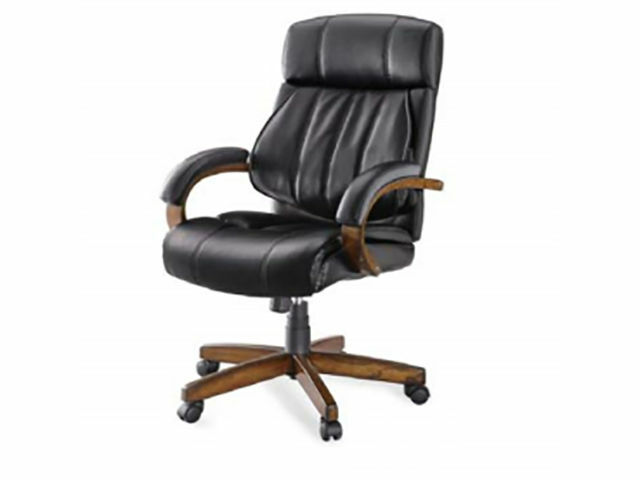 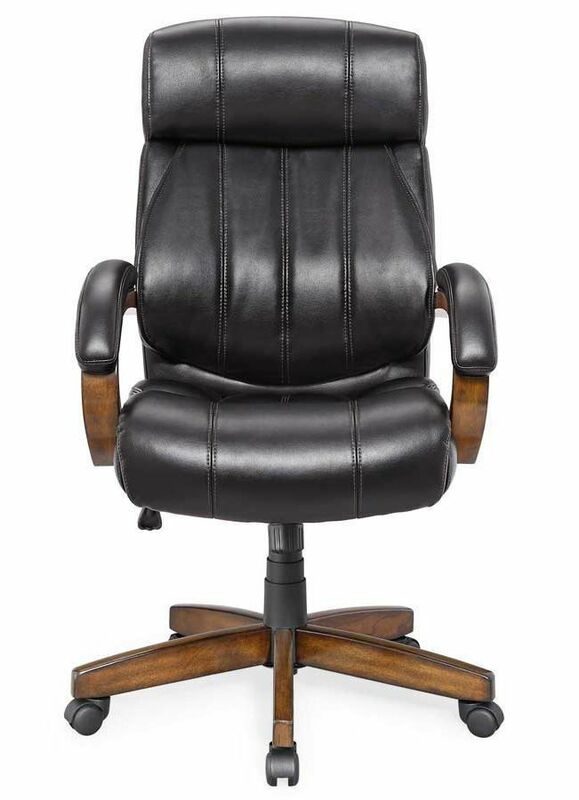 The durable craftsmanship of the Black Leather Chair also features lumbar support, padded curved arms, smooth gliding casters, and a dark wooden base. 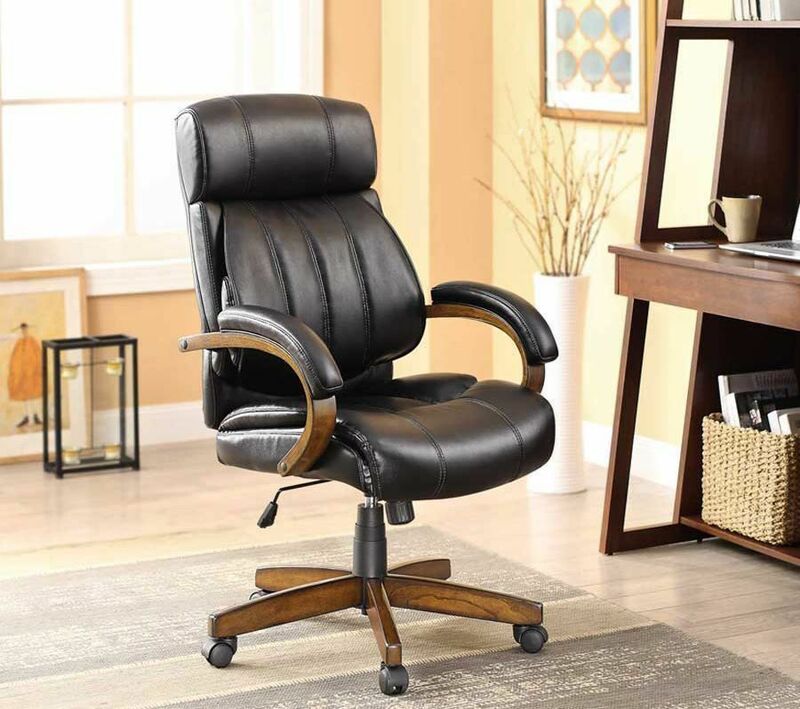 Bring the Black Leather Chair home today and get ready to get to work with a sleek looking piece that can deliver comfort as well as style to your living space. 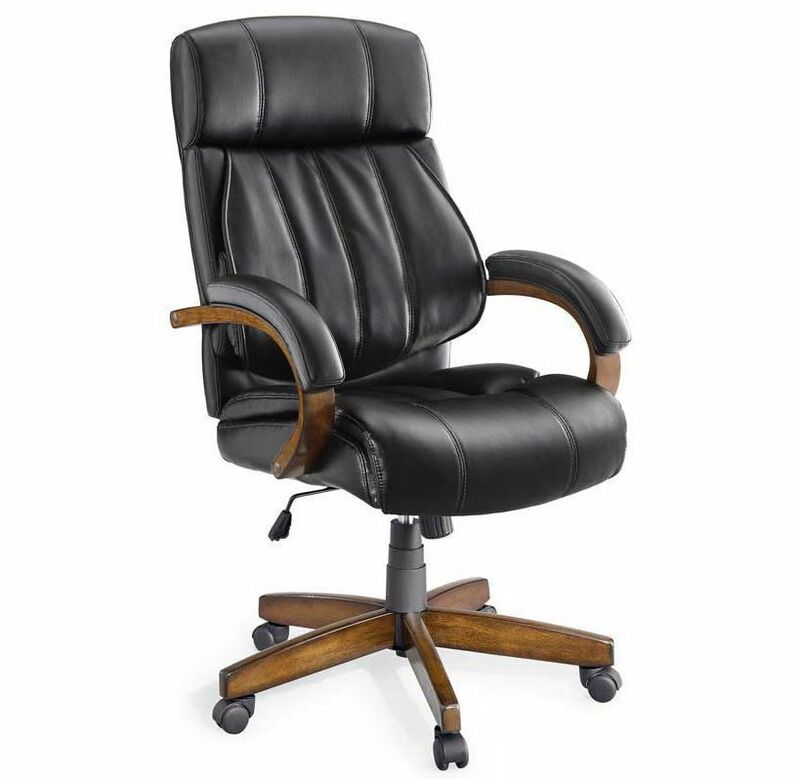 Complete your dream office design with the sophisticated look of the Black Leather Chair.